On Wednesday 12th November the children from the primary school in Avonbridge, six miles south of Falkirk, participated in a short service at their local United Reformed Church. 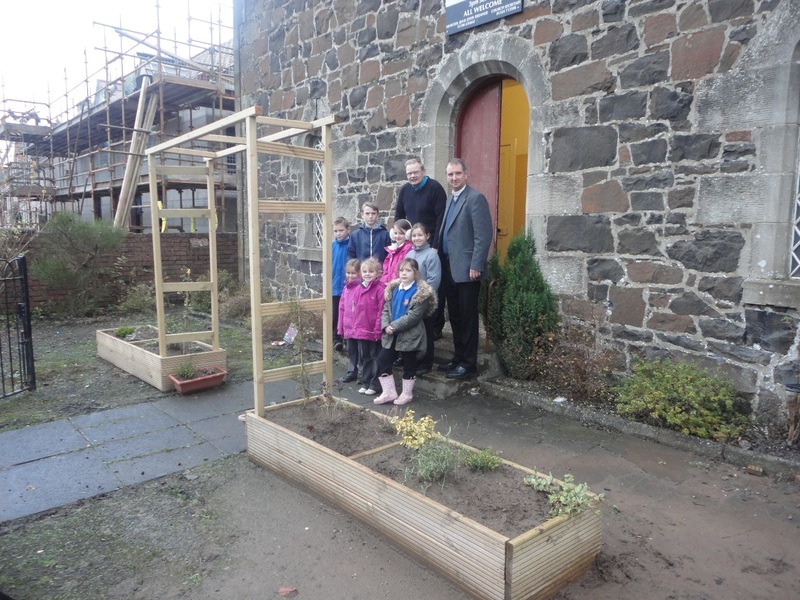 The occasion was a celebration of work done by children in the school to reclaim and improve the church gardens. 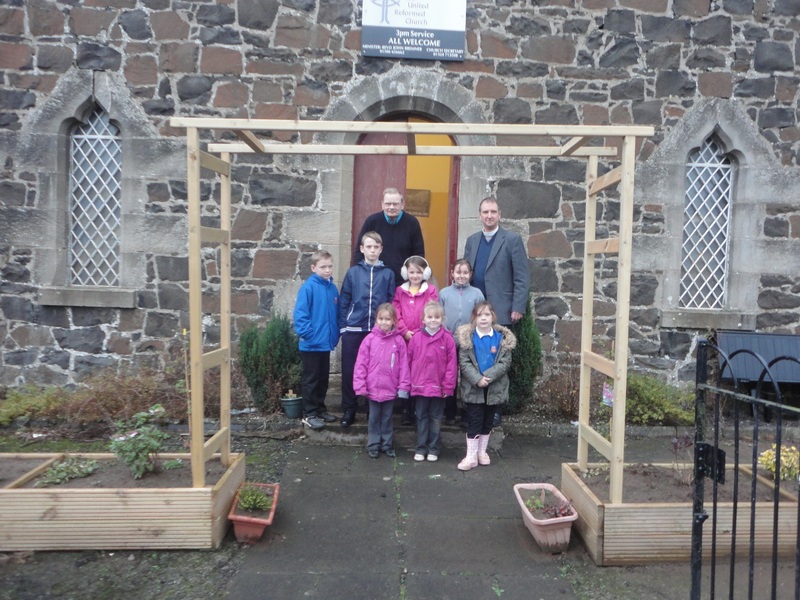 As a school with two Eco-School awards Avonbridge Primary was very open to the invitation from the church which combined environmental themes with community engagement. From the congregation’s perspective this was an opportunity to build links with a local school and address creation issues at the church. 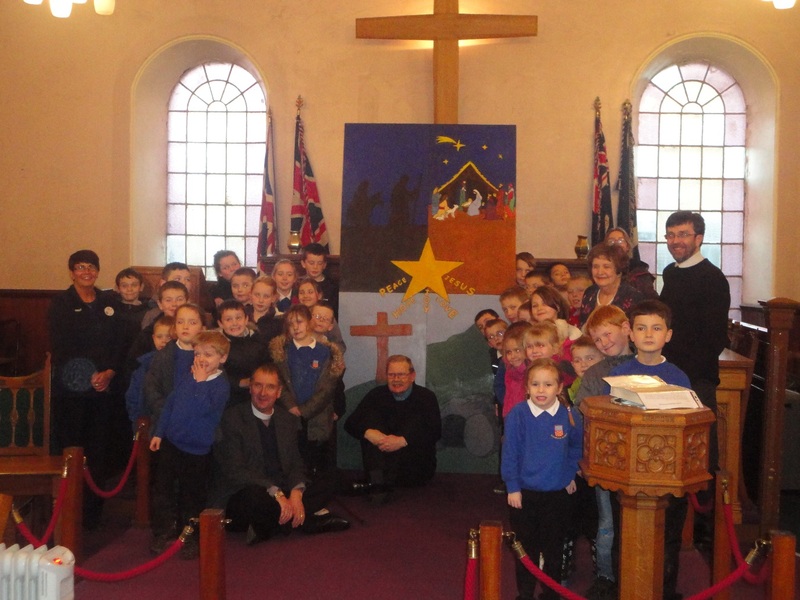 The relationship continues and grows, with children producing a large scale art work for use by the church at Christmas and Easter. This is an encouragement to other churches and schools to explore how they might work together on environmental issues and grow community links at the same time. Carlops Church celebrates Earth Hour.